Microsoft has released the code for the Calculator app. This move is the latest in Microsoft’s efforts to capitalize on the Open Source community. Previous efforts have been the Open Sourcing of an extremely old version of DOS, and shoehorning Linux into Windows somehow in a way that’s marginally more user-friendly than spinning up a VM or popping over to your Linux partition. Oh yeah, Microsoft bought Github. Can’t forget that. The release of the code for the Calculator app means now you too can truly verify all your calculations are correct. To build the Calculator app, you’ll need a Windows 10 computer and Visual Studio. You might think that this is the same code that’s been shipping for 30 years — it’s a simple calculator, right? Not so: the Calculator for Windows 8 had a strange and odd bug where the square root of 4, minus two, did not equal zero. Floating point is hard, kids. Of special interest to the community, it’s now possible to disable telemetry sent from the Calculator app to Microsoft servers. Yes, the Calculator app knows you forgot how to divide, and wow man, six times nine, you needed help with that? Fortunately, telemetry can be disabled in developer’s builds by disabling the SEND_TELEMETRY build flag. Now Microsoft won’t know you don’t do math so good. At the time of this writing, we could not be bothered to contact Microsoft to find out when the pinball game or Ski Free will be updated and Open Sourced. Microsoft’s Kinect may not have found success as a gaming peripheral, but recognizing that a depth sensor is too cool to leave for dead, development continued even after Xbox gaming peripherals were discontinued. This week their latest iteration emerged and we can get it in the form of Azure Kinect DK. This is a developer’s kit focused on exploring new applications for this technology, not a gaming peripheral we had to hack before we could use in our own projects. Packaged into a peripheral that plugs into a PC via USB-C, it is more than the core depth sensor module announced last year but less than a full consumer product. Browsing its 10-page specification (PDF) with comparisons to second generation Kinect sensor bar, we see how this technology has evolved. Physical size and weight has dropped, as has power consumption. Auxiliary capabilities has improved with an expanded microphone array, IMU with gyro in addition to accelerometer, and the RGB camera has been upgraded to 4K resolution. But the star of the show is a new continuous-wave time-of-flight depth sensor, presented at the 2018 IEEE ISSCC conference. (Full text requires IEEE membership, but a digest form is available via ResearchGate.) Among its many advancements, we expect the biggest impact to be its field of view. Default of 75 x 65 degrees is already better than its predecessors (64 x 45 for first generation Kinect, 70 x 60 for second) but there is an option to trade resolution for coverage by switching to a wide-angle mode of 120 x 120 degrees. Significantly wider than other depth cameras like Intel’s RealSense D400 series or Occipital’s Structure. Another interesting feature is built-in synchronization. Many projects using multiple Kinect sensors ran into problems because they interfered with each other. People hacked around the problem, of course, but now they don’t have to: commodity 3.5 mm jacks allow multiple Azure Kinect DK to be daisy chained together so they play nicely and take turns. From its name we were worried this product would require Microsoft’s Azure cloud service in some way and be crippled without it. Based on information released so far, it appears developers have access to all the same data streams as previous sensors. Azure tie-in takes the form of optional SDKs that make it easier to do things like upload data for processing in Azure cloud-based recognition services. And finally, Azure Kinect DK’s price tag of $399 is significantly higher than a Kinect game peripheral, but it is a low volume product for developers. Perhaps high volume consumer products built on this technology will cost less, but that remains to be seen. In the meantime, you have alternative tools for solving similar problems. For example if you are building your own AR headset, you might use Intel’s latest RealSense camera for vision based inside-out motion tacking. But for their follow-up system, the Xbox 360, Microsoft decided to go with a PowerPC processor they co-developed with IBM. Naturally this meant they needed PowerPC development systems to give to developers, which is how Microsoft ended up briefly distributing PowerMac G5’s. [Pierre Dandumont] came into possession of one of these oddball Microsoft-branded Macs, though unfortunately the hard drive had been wiped. But with the help of a leaked drive image and some hardware sleuthing, he’s now got the machine up and running just like it was when Microsoft was sending them to developers between 2003 and 2005. 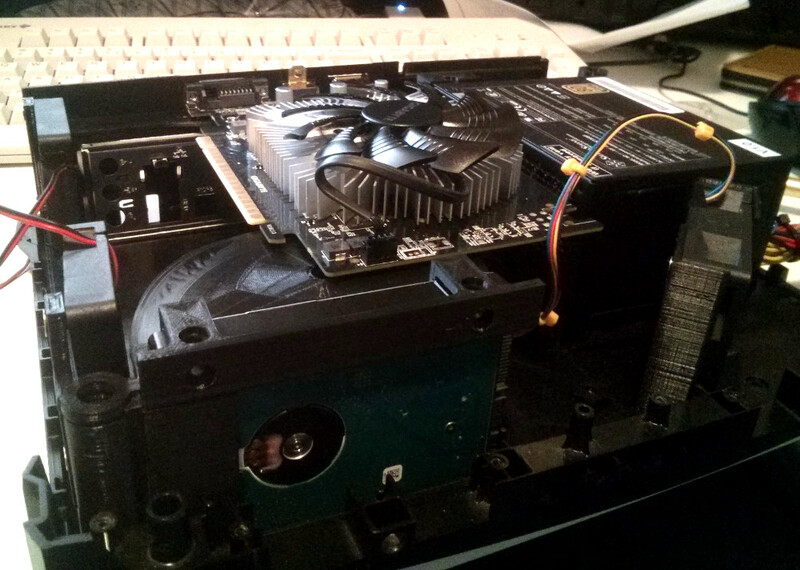 Since you’re reading this on Hackaday, you might have guessed there was a little more to the story then just downloading an ISO and writing it to the hard drive of a PowerMac G5. There’s apparently some debate in the community about whether or not it’s some form of rudimentary DRM on Microsoft’s part, but in any event, the development kit operating system will only run on a G5 with very specific hardware. So the challenge is not only figuring out what hardware the software is looking for, but finding it and getting it installed over a decade after its prime. Most of the required hardware, like the Intel 741462-010 network card or 160 GB Seagate ST3160023AS hard drive were easy enough to track down on eBay. But the tricky one was finding a Mac version of the ATi Radeon X800 XT. [Pierre] ended up getting a much more common ATi FireGL X3 and flashing it with the Mac X800 firmware. This is a little easier said than done as depending on which manufacturer made the memory on your specific video card you have to fiddle with the clock speeds to get a usable image, but in the end he found the winning combination and the development kit OS booted up with his hacked graphics card. So what does all this get you in 2019? [Pierre] admits nothing terribly useful, but it’s still pretty cool. 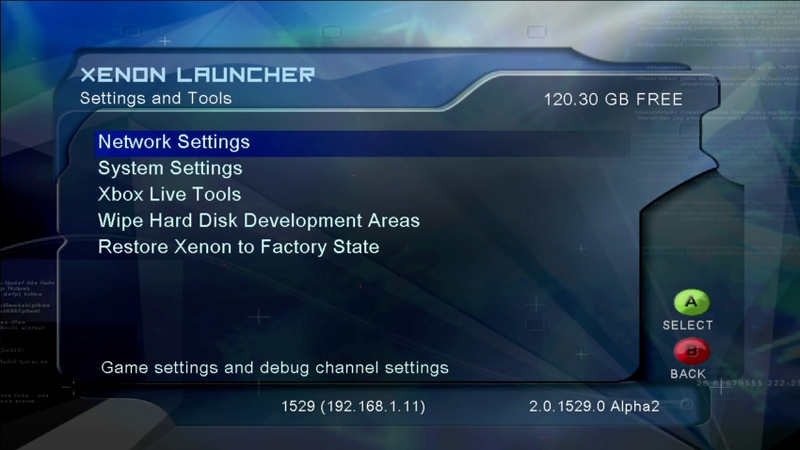 The system lets you run Xbox and Xbox 360 binaries, and even features the old Xbox 360 “blade” style dashboard. He says that he’s only had limited success getting retail games to actually run on the thing, but if your goal was running Xbox 360 games in 2019 there’s certainly better ways to do that anyway. Like, buying an Xbox 360. We’ve previously talked about the Xbox 360’s rather unusual processor, but around these parts we more often see projects which involve tearing Microsoft’s sophomore console apart than digging into how it actually worked. The simplest answer to a problem is not necessarily always the best answer. If you ask the question, “How do I get a voice assistance to work on a crowded subway car?”, the simplest answer is to shout into a microphone but we don’t want to ask Siri to put toilet paper on the shopping list in front of fellow passengers at the top of our lungs. This is “not a technical issue but a mental issue” according to [Masaaki Fukumoto], lead researcher at Microsoft in “hardware and devices” and “human-computer interaction.” SilentVoice was demonstrated in Berlin at the ACM Symposium on User Interface Software and Technology which showed a live transcription of nearly silent speech. A short demonstration can be found below the break. SilentVoice relies on a different way of speaking and a different way of picking up that sound. Instead of traditional dictation in which we exhale while facing a microphone, it is necessary to place the microphone less than two millimeters from the mouth, usually against the lips, and use ingressive speech which is just whispering while inhaling. The advantage of ingressive over egressive speech is that without air being blown over the microphone, the popping of air gusts is eliminated. With practice, it is as efficient as normal speaking but that practice will probably involve a few dizzy spells from inhaling more than necessary. When the original Microsoft Xbox was released in 2001, one of the most notable features of its design was that it used a number of off-the-shelf computer components. Inside contemporary offerings from Nintendo and Sony you’ll see almost nothing but proprietary components, whereas cracking open the Xbox reveals an IDE hard drive, a customized PC DVD-ROM drive, and an Intel Pentium III CPU. Depending on which team you were on, the Xbox’s close relation to PC hardware of the day was either a point of honor or ridicule in the early 2000’s console wars; but regardless of politics, it ended up being instrumental in all of the hacks and mods the console got over its lifetime. In that light, [P8ntBal1551] managing to jam a modern computer into the shell of an Xbox is like having the last laugh in this nearly two-decade-old debate. Wanting to build an HTPC that wouldn’t look out of place in his entertainment center, he figured the Xbox would make a suitable home for his Intel 4460 powered build. Not to say it was easy: getting all of the hardware and associated wiring inside the case took a bit of cheating, but the end result looks good enough that we’ll give him a pass. The key to this project is the 3D printed structure inside the Xbox’s case that holds everything together. Painstakingly designed to align all of his components and cooling fans, it took over 58 hours to print just the base plate alone on his CR-10. Even with all of his primary components installed, [P8ntBal1551] still had to wrestle with an absolute rat’s nest of wiring. He couldn’t find smaller versions of a number of the cables he needed, so he had to resort to some creative wire management to get everything packed in there. In the end, there was simply too much gear for the Xbox’s case to legitimately fit, so he ended up printing a spacer to fit between the bottom and top halves. Though in the end even this worked out in his favor, as it gave him a place to mount the integrated FLIRC IR receiver without having to cut a hole in the original front panel. The end product looks close enough to stock to be almost unnoticeable to the casual observer. Its been a while since we’ve seen a hack for Microsoft’s original black and green monster, most of the Xbox projects we see are in relation to its significantly more popular successor. It’s always nice to see people keeping the classics alive in their own way.